Nicholson’s has been serving thirsty customers since 1873. 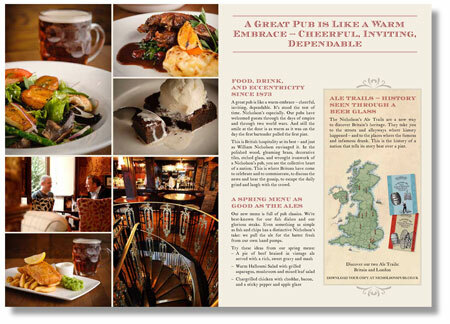 Many of the pubs are architectural marvels; some have a history that stretches back several hundred years. 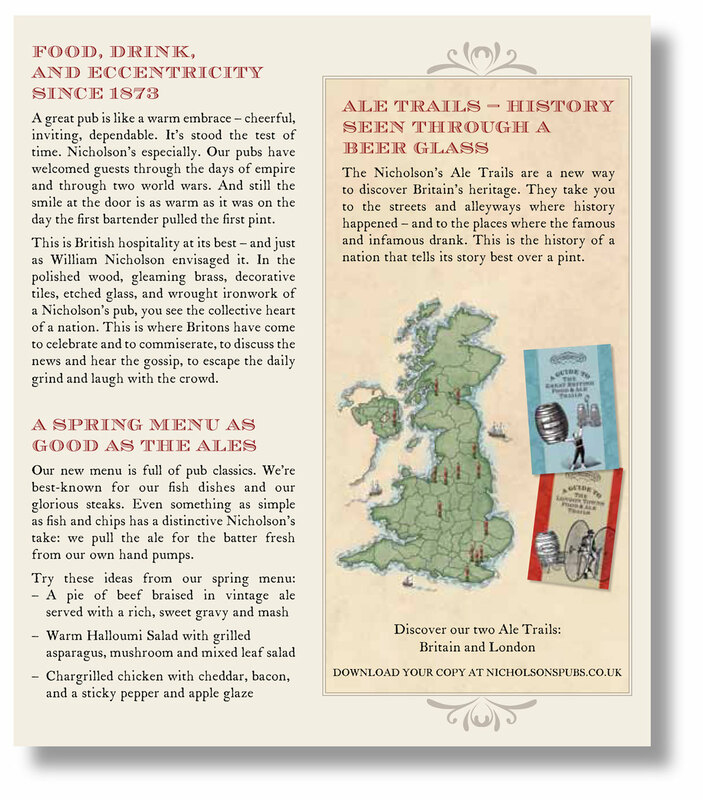 This brochure for a spring cask-ale selection captures the heritage of the brand and the warmth of the pubs.